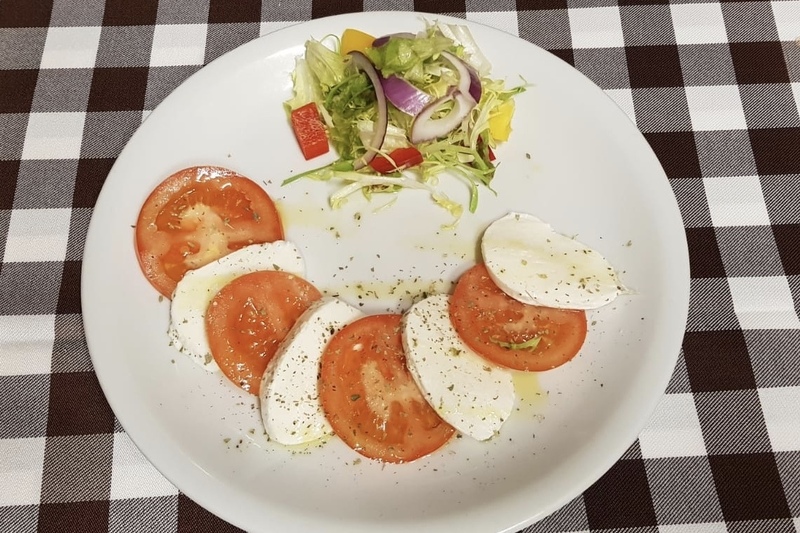 Traditional Starters, Breads and Soups to get your mouth watering, savour our home made delicious Italian Garlic Bread, freshly prepared on the premises straight from the oven. Our finest Italian Pizzas are freshly prepared and served straight from our oven. 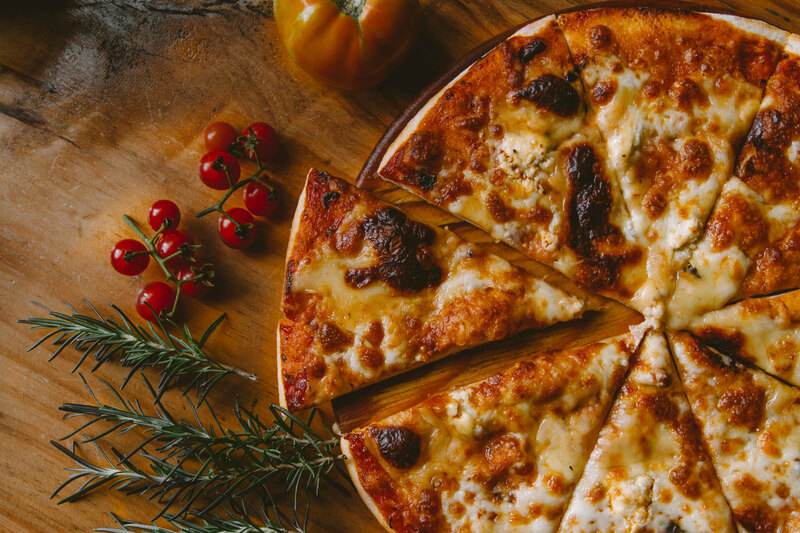 From margherita, a Napoletana, a Bianca or Calabrese Pizza there will be one to suit your taste buds. 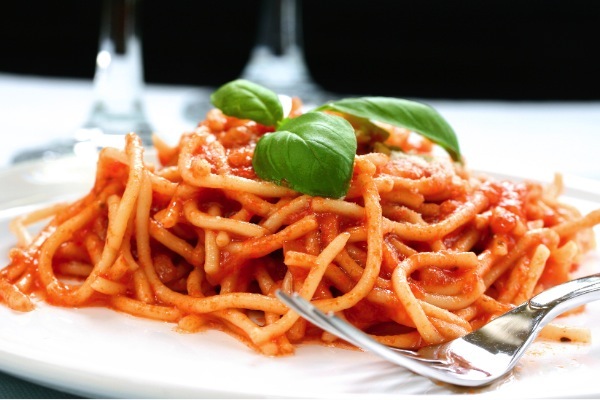 We serve a selection of authentic Italian meat dishes all freshly prepared for your enjoyment. You will also find in the restaurant our chef special that change regularly. 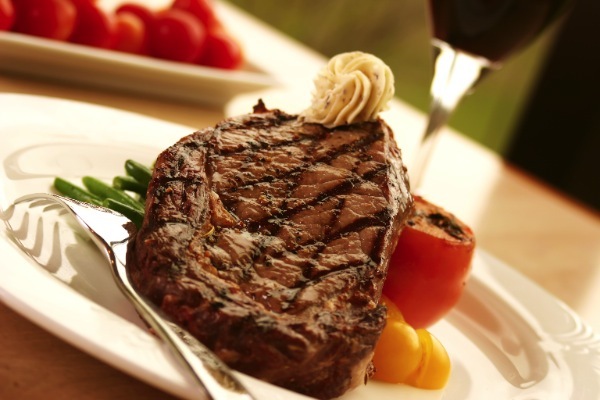 Delicious, fresh steaks and salads the Italian way. 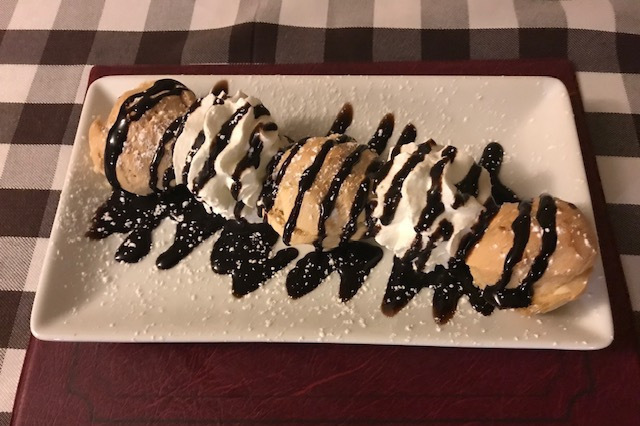 Don't forget to leave room to enjoy a delicious dessert to finish off your meal. You won't be disappointed with our selection of traditional Italian sweet treats. 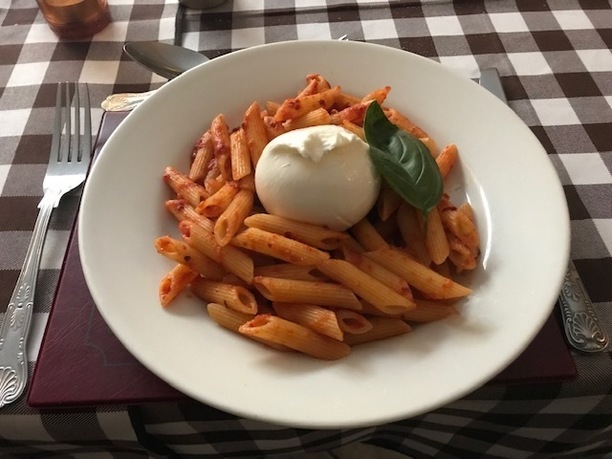 At Giovanni's Italian Restaurant you can enjoy the true taste of Italy by savouring a light snack from authentic Italian Pasta or Pizza's to spending an evening at Giovanni's unwinding from everyday stresses of life. 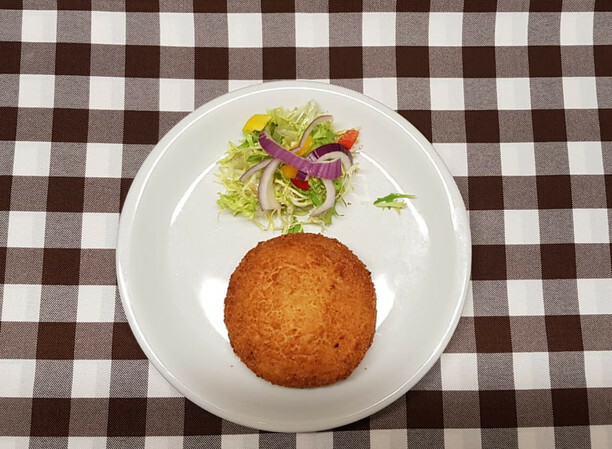 Whether it be a meal with a friend or family, to business lunches, pre Queens Theatre meals, to celebrating a loved one's special occasion, you'll feel truly spoilt by the care and attention that we offer to our customers. 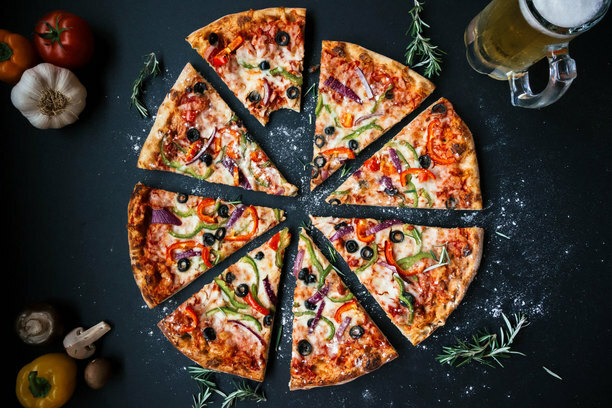 Offering a wonderful eating or drinking experience, Giovanni's is undoubtedly one of the most popular places to eat before taking in a show at The Queens Theatre which is situated directly opposite. 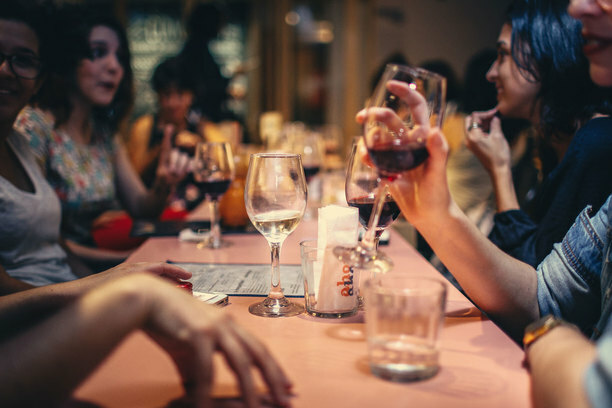 To save time you can pre-order your meal, so that you can relax and enjoy your time with family and friends, before enjoying an evening of entertainment of your choice. 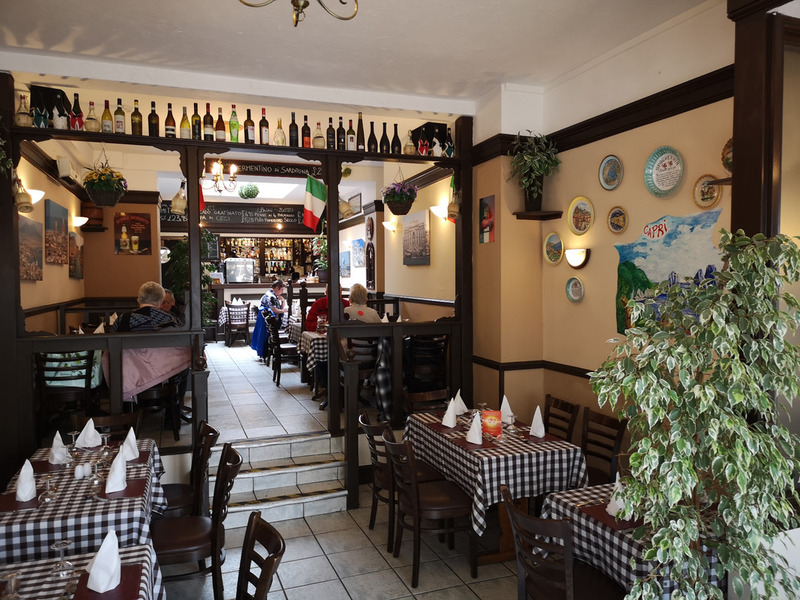 "Giovanni's Restaurant is quite simply the best Italian I have been to, including the restaurants in Italy!  Delicious, home made food, friendly staff and very reasonable prices. Can't wait to go again soon!" 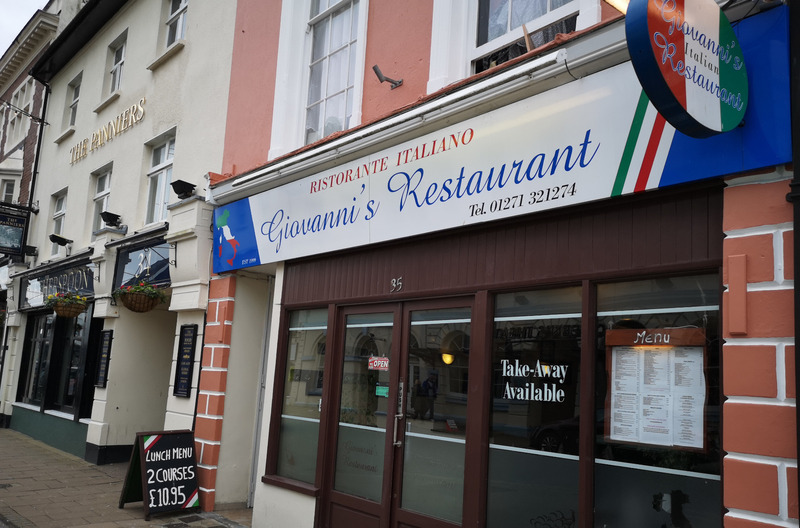 Giovanni’s opened in Barnstaple in 1999 and has been run by Mr Vincenzo Ferracuti from Rome and Adriano, who has been the chef from day one. 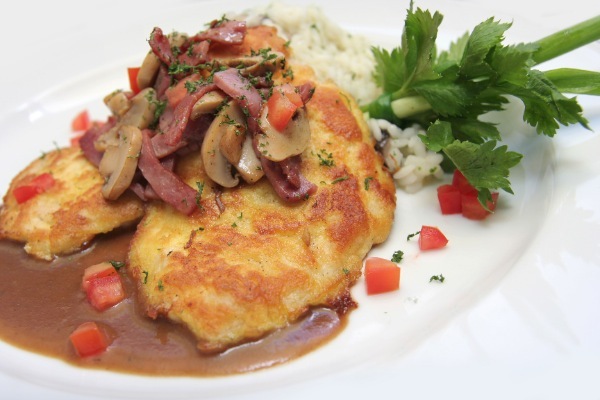 They are passionate about preparing authentic, fresh and delicious Italian food. They have consistently been awarded a 5 star Food Hygiene Certificate and are Selected Restaurant 2009 Certificate holders for recognition of their high standards of presentation and service that they provide.